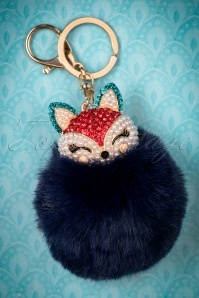 Be as cunning as a fox with this 50s Adele Fox Pom Keyring in Navy! She's not just a handy accessory for your keys, but she also provides you with a cunning way of adding some extra sparkle to your bag! 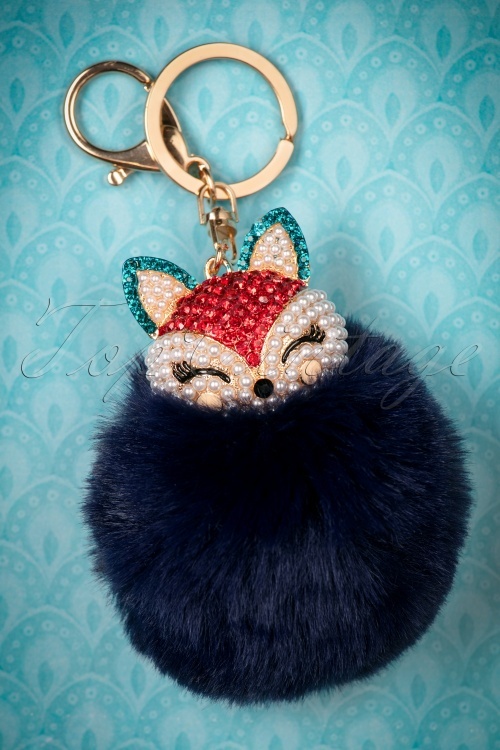 She is made of gold toned metal, with dozens of sparkling rhinestones and faux pearls in cream, black, red and turquoise, finished off with a large lobster clasp and a ring for your keys of course. 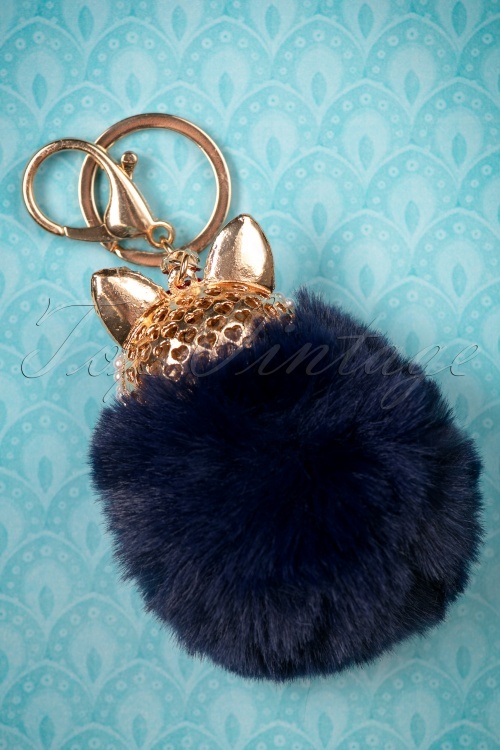 The faux fur pom pom in navy blue adds a cuddly touch. Adele is a real foxy lady, just like you!